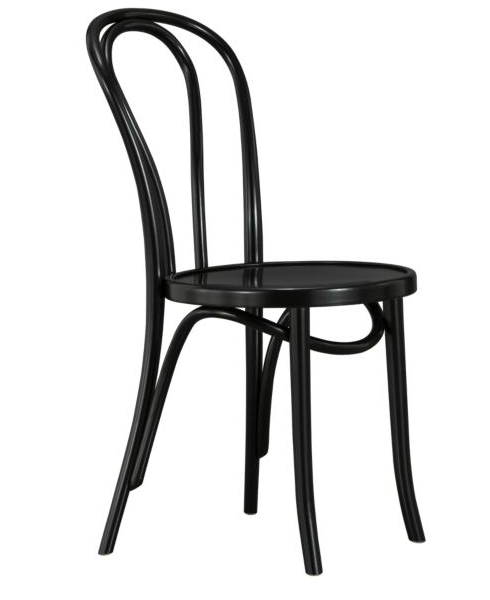 This is the Vienna Side Chair, produced by Thonet and currently sold at Crate&Barrel for $119 (also available in white). Since it is exactly the same type of Thonet chair that I have sitting in storage awaiting my illustrious painting skills, can I just tell you that this is one of my chairs and that particular project is completed and looking fantastic? No? You are on to me and my lying ways, and know full well that the chairs are languishing waiting to be started? Oh well, at least I know where to buy a sixth chair, since I only have five. I am planning to paint mine matte black, so I kind of like the idea that a new one would be shiny in comparison.